Our participants suggest jeeps legendary Land Rover known from the rally CAMEL TROPHY. Cars are prepared to overcome the most difficult areas. Equipped with all cars are off-road tires, winch, Hi-lift jack and many other gadgets to help you ride in extreme terrain. Prepared by us route is usually difficult ups and downs as well as the place where probably you will need to use different techniques to pull the car out of trouble. Classes can be prepared in the form of a mini-rally with a special roadbookiem and stamps to drive traffic to the card. 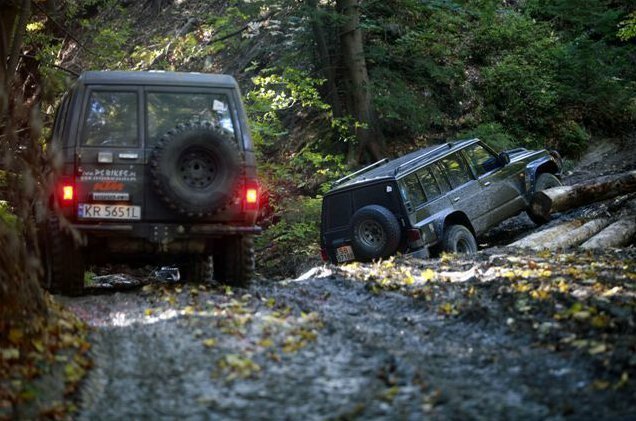 Participants can also navigate terrain on the basis of checkpoints, photos, maps using the receiver GPS.Inną form of off-road'u is a trip off-road. These classes differ from the usual "przejazdówki" that assume an introduction to passage of special tasks, such as building a bridge of logs, pull the car using a winch or crossing the swamp. These tasks are focused on the ability to work in a team, ability to creatively solve problems and anticipate threats. 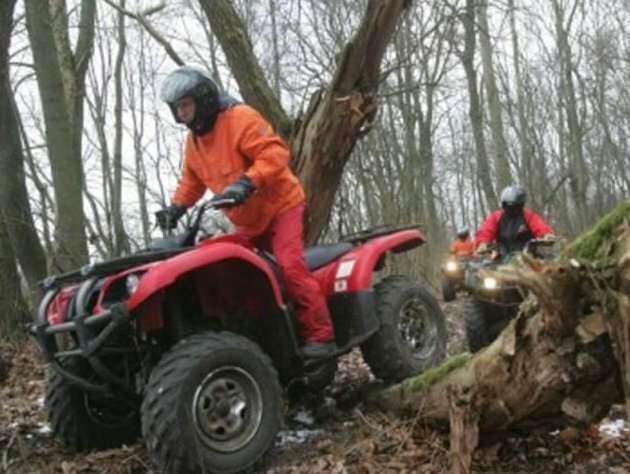 While riding a quad bike does not matter to us whether the road, which is poruszmy suddenly ends, or we want to enter in a difficult little available land. Riding ATVs gives a lot of pleasure and adrenaline, because these inconspicuous vehicles thanks to its small size, can enter almost everywhere. 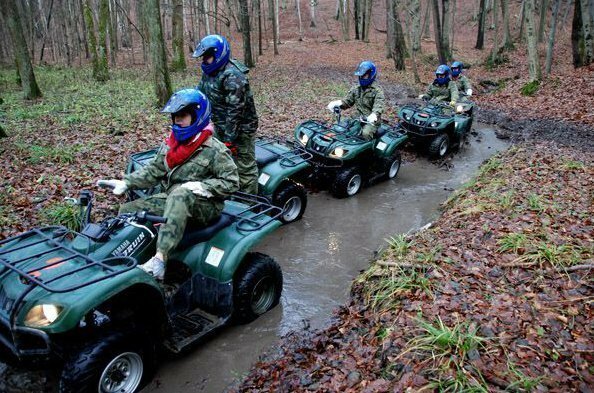 Quad easily overcome all obstacles encountered, such as swamps, wetlands, steep climbs and descents or cliff. Easy to maintain, trouble-free service makes biking after training everyone can ride. During the integration events, these four wheelers can navigate through a specially prepared track. We also arrange for the whole group a few hours trip to the area. We have 15 ATV YAMAHA reputable company, we have models of vehicles. 350 cm3, 450 cm3. 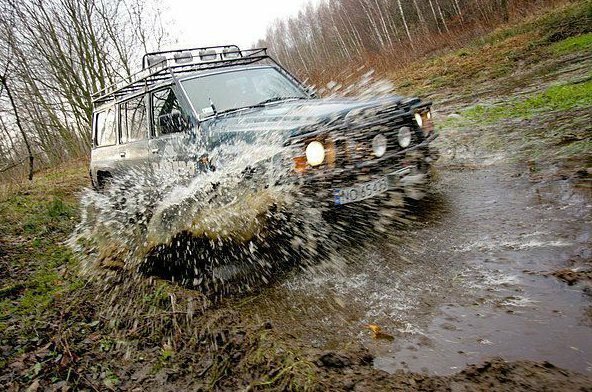 For our clients we organize long trips or rides in the area after the specially prepared tracks with obstacles. Rocks, boulders underwater, backwaters, eddies, and of course the fast current of the river - it all makes rafting is very exciting and requires a lot of attention. The participants' task is to overcome certain of the fairway in a specially designated pontoon. On board of the group is, of course, the instructor issuing appropriate instructions and commands.